1. Don’t get deceived by the full bowl of pellets or yogurt treats from ill-informed pet shops. Focus on a fibrous diet including unlimited hay, small amount of quality pellets and fresh leafy greens. 2. 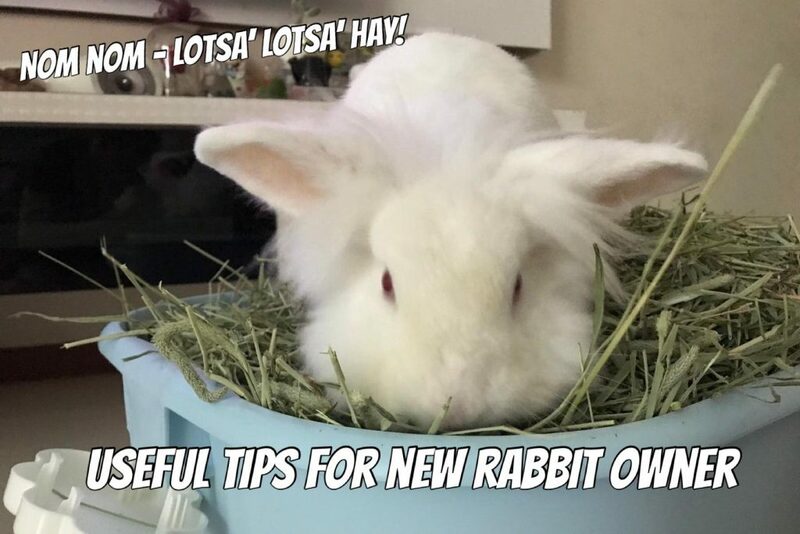 Rabbits are intellectual, smart and super trainable pets! Think of them as a dog rather than a hamster. They can be litter-trained, disciplined, and taught to roam safely without supervision. 3. If your rabbit is unsterilized, plan for its sterilization when it is full grown (>8 months). A sterilized rabbit is not only happier but is also healthier and will live a longer life! 4. Instead of asking petshops or online platforms for answers, bring your rabbit to a savvy vet for a wellness check! The advice will be much more professional and credible. 5. Rabbit is cute but never rush to get a second one. Make sure you are providing accurate care for your current, sterilize it and have sufficient ‘rainy day’ funds before acquiring another. You can find more detailed information in our Rabbit Care Guide (goo.gl/smzL3U) as well as our website (www.bunnywonderlandsg.com). Of course, in times of doubt, you can always contact us to discuss further. We will do our best to help those who are ready to learn! Thank you!